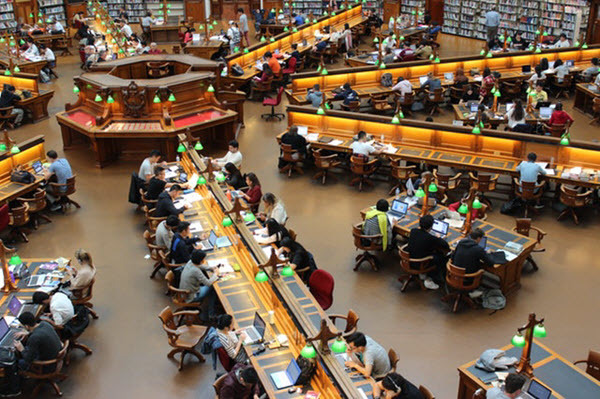 The War On Grad School – Sig Nordal, Jr.
March 26, 2018 Sig Nordal, Jr.
Now more than ever, an educated public is essential for a country to remain relevant and competitive in the global marketplace. In fall of 2016, 1.8 million students were enrolled in master’s, graduate certification or doctoral programs in the US, showing a steady growth in enrollment in the last decade. Recently, however, that growth is starting to experience a decline. Making the most of our education has always been a part of the American dream. Today, however, students are even questioning the viability of getting a college degree in general as tuition rises, student loan debt balloons, and jobs remain scarce and low-paying. No longer do students feel optimistic about the job market and many have opted to stick with a Bachelor’s degree and enter the workforce as quickly as possible. While our parents and grandparents love to remind us about how they worked summers and even weekends to put themselves through college, that financial landscape is no longer our reality. For many students, the cost of pursuing a graduate education remains hugely prohibitive. In 2012, the master’s degree student debt average ranged from $50,000 for education and science degrees and as high as $160,000 for law and health sciences degrees. Some students don’t see the increased student loan debt as a big deal when their potential salary options nearly double after completing their graduate degree. The wage premium for employees with a master’s degree over employees with a bachelor’s degree can be as great as 90% under the right set of circumstances. For others, the looming debt isn’t worth the chance at a higher paying job and entering the workforce as quickly as possible is the only option. Even some entry-level jobs require a master’s degree and sometimes, graduates find that they can’t afford to work in the field they went to school for. While grad students work towards their degrees, their years spent in school are still years spent outside of the workforce. Some would say this puts these students at a professional disadvantage, especially when employers are generally more interested in work experience and skills rather than a prestigious degree. Despite its reputation for being expensive, there are countless financial options to make grad school work. Many employers, especially big name brands, offer incentives, and tuition reimbursements for their employees. FAFSA is also a good option for those looking to expand their education without breaking the bank. Opening up access to federal loan programs designed just for graduate students, these financial options help to make grad school more accessible and realistic for students. The Federal Perkins Loan Program allows graduate students to borrow up to $5,000 per year. Direct unsubsidized loans can give graduate students access to borrowing up to $20,000 a year. More than 40% of college freshmen say they intend to pursue a master’s degree, but the number of students enrolling in graduate programs is beginning to flatten out. With a growth rate of 1.2% from 2 to 15 to 2016, compared to the 5.7% average annual growth rate between 2006 and 2016, fewer students are taking on grad school. What’s keeping students from furthering their education with grad school? Check out this infographic to learn more about the war on grad school. The post The War On Grad School appeared first on Dumb Little Man.